If you’re curious about audiobooks, you’re not alone. We’re in the middle of an audiobook boom (it’s the fastest growing area of publishing!) and people who’ve never given audiobooks much thought are finally hearing about all the great new recordings out there. But “reading” with your ears is a learned skill — just like reading print — and some audiobooks make better first listens than others. So where do you start? In celebration of June Is Audiobook Month (JIAM), I’m sharing my picks for the 5 best audiobooks for new listeners — including fiction, mystery, memoir, nonfiction, and children’s. And while everyone’s reading tastes are as unique as snowflakes, each of these titles has enough crossover appeal to win over just about any audiobook newbie. A brilliant but dysfunctional family is living in the Seattle ‘burbs when their neurotic mom flees to Antarctica. This comic novel is told in a series of letters, emails, and documents, but don’t let that throw you, because Kathleen Wilhoite (who plays Luke’s sister on Gilmore Girls) narrates the heck out of it. Her performance raised my bar for all audio performances, ever! 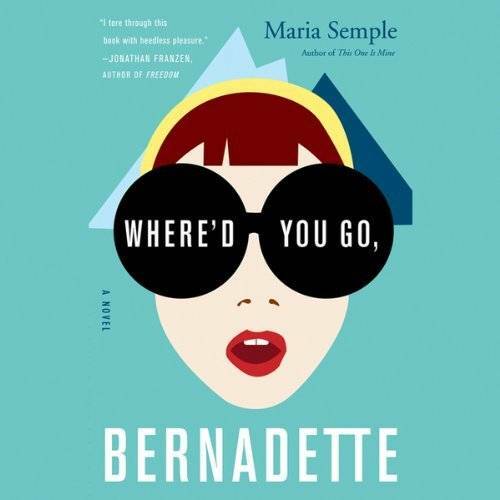 This is especially perfect for beginning listeners because the author got her start writing TV shows like Suddenly Susan and Arrested Development. Screenwriters have a knack for dialogue and storytelling that’s easy on the ears and translates beautifully to audio. 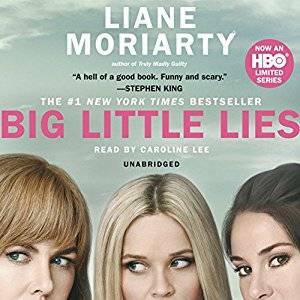 Before it was a hit HBO series with Reese Witherspoon and Nicole Kidman, Big Little Lies was a great book and an even better audiobook. This playful satire about suburban Australian parenting gets very dark and very twisty, very fast. Moriarty deftly introduces complicated issues like domestic abuse by drawing you in with her wicked wit and a quick pace. If you enjoyed the flashes of humor on the show, you can look forward to much more in the book! I particularly love this for beginning listeners because Caroline Lee narrates it with a light Australian accent — just enough to enhance the experience. Through voice and sound, audiobooks can transport you straight to the heart of a story. You might know Trevor Noah as the host of The Daily Show. But did you also know he grew up in South Africa as the child of a black mother and white father during Apartheid? In other words, it was LITERALLY a crime for him to exist. 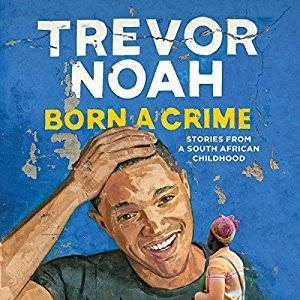 In this memoir, he weaves brilliant commentary about race and Apartheid into stories about being a smartass kid at Catholic school, learning how to hustle in high school, and his close relationship with his religious mom. And the best part is that he narrates it himself! Memoirs make great first audiobooks because they hit a sweet spot between podcast and novel — the chapters are like short episodes, making it easy to drift in and out without straining to pay attention. Nonfiction is the gateway to listening for many audiobook fans. Maybe it’s because nonfiction tends to be more straightforward, maybe it’s because we feel less pressure to soak in the language, or maybe it’s because we already have practice listening to radio and podcasts. 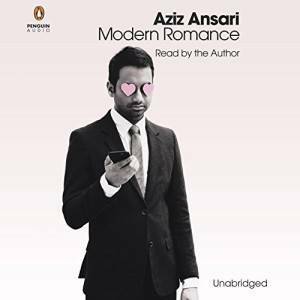 In Modern Romance, comedian Aziz Ansari teams up with sociologist Eric Klinenberg to tackle love and romance in the digital age via statistical research, Flo Rida analogies, and Ansari’s priceless audiobook ad libs that you won’t find in print! It’s packed with fascinating facts about online dating behavior from OkCupid to Tinder, giving you the goods to wow everyone at your next dinner party. Inspired by the true story of Carl Sagan and Voyager II’s Golden Record, 11-year-old Alex creates his own golden iPod to show aliens what life on Earth is like. Each chapter is presented as one of Alex’s “recordings,” and the audiobook team ran with this opportunity to create a very original audio production complete with a full cast and sound effects. Don’t miss this one if you want to experience the cutting edge of audiobook production! I love that they cast a young boy to read the main part — Kivlighan de Montebello gives a hugely heartwarming and hilarious performance as Alex. 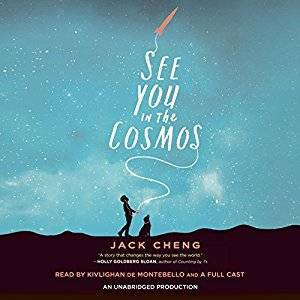 See You in the Cosmos has enough crossover appeal for me to enjoy listening to it on my own, but it would be fun to listen to with a middle grade kiddo, too. I hope you found a few new ideas for your earbuds! If you want more like this, pop over to the June Is Audiobook Month website for a month of listening recommendations from more audiobook lovers. Happy listening!